Congratulations on your new baby! Be sure to document all her newness and freshness before she starts to grow and change. 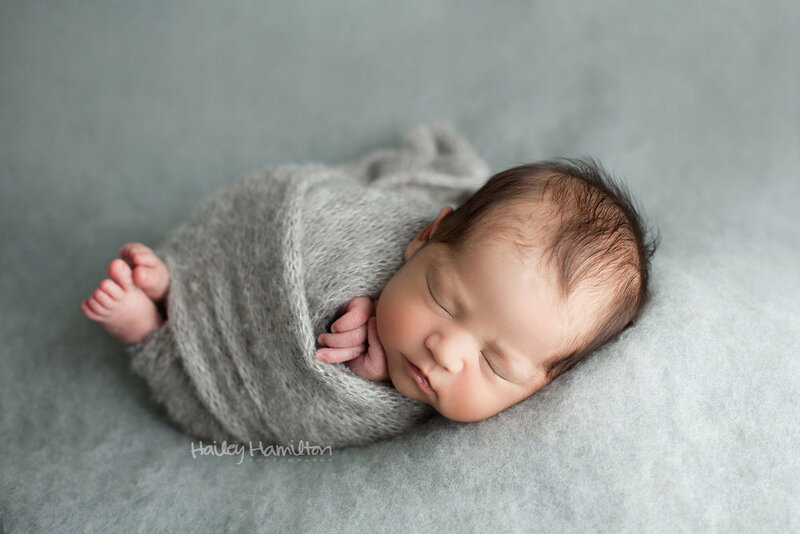 Choose a professional newborn photographer who specializes in posing and photographing new babies, not only for her safety, but because she’s only a newborn once. As a trusted newborn photographer in Calgary, your baby is handled with love, patience, and care. I’m a mom myself, and I’ve been photographing newborns and babies for 9 years (specializing in posed newborn photography for the past 5 years). My amazing studio assistant (a nurse!) will help to ensure baby’s comfort and safety at all times during your session. Your new baby is perfect just the way she is, and I believe her perfection should always be the main focus in your photos. 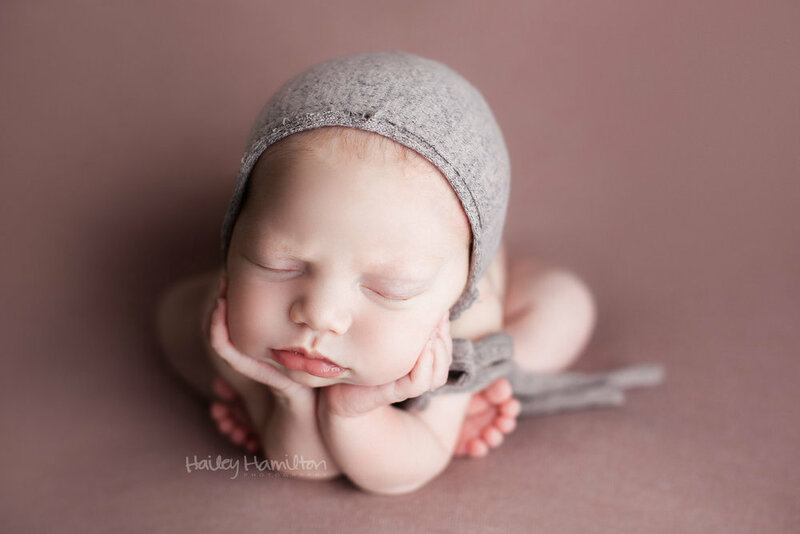 At Hailey Hamilton Photography, newborn sessions are minimally and tastefully styled with delicate accessories that won’t overwhelm your baby. Trends change but a simple, adorable pose will always be in style. Let’s create some beautiful timeless artwork you’ll appreciate long after she’s grown. View my collections, pricing, and online booking calendar HERE. Have questions? Send me a message and I’ll reply asap. Thank you for your interest in working with me! You can expect a reply within 24 hours.